Monckton Chambers continues to develop its administrative and public law offering, attracting an increasing number of cases in respect of human rights, community care and data protection. The set also maintains its strength in regulatory public law, with a particular emphasis on the interaction between domestic and EU law. 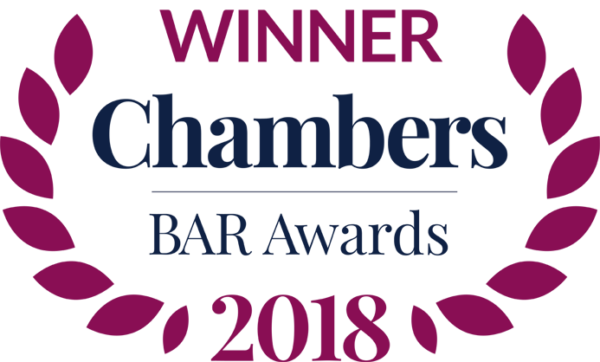 Clients are quick to praise the barristers here for their “strength across the board in judicial review and public law work.” Members receive instructions from individual and commercial claimants as well as defendants. Their notable recent engagements include the high-profile challenges to the Data Retention and Investigatory Powers Act 2014 and the Welfare Reform Act 2012. Client service: “The clerking is very strong. They are efficient, very straightforward and flexible in terms of fee negotiations.” “The clerks are very approachable, they respond swiftly to enquiries and will go out of their way to find alternative counsel for you if necessary.” The team is led by senior clerk David Hockney. Broad depth of administrative and public law expertise, with a particular emphasis on EU law and regulatory matters. He is also adept at judicial reviews involving human rights law. Recent work: Represented the Ministry of Defence in a judicial review challenge concerning the failure to hold an inquiry into the death of a Royal Military Policeman killed in Iraq in 2003 under Article 2 ECHR. Brings his considerable EU law expertise to bear on public and administrative law disputes. He typically acts for corporate clients in challenges to regulatory decisions. Recent work: Acted for a group of companies engaged in oil drilling in the North Sea in a challenge to the new, adverse tax regime affecting their activities which was brought in under EU and human rights law. Focuses his administrative and public law practice on commercial and regulatory judicial reviews. He is particularly renowned for his expertise in claims that involve EU law. Recent work: Represented the government in a judicial review brought by David Davis MP and Tom Watson MP challenging controversial emergency data retention legislation. Frequently appears in administrative and public law cases in the commercial and regulatory spheres. His practice also encompasses cases concerning environmental protection. Recent work: Successfully acted for BT in an appeal against a Competition Appeal Tribunal judgment which had overturned Ofcom’s decision to force Sky to offer its core premium sports channels to other Pay TV businesses. BT, supported by the regulator, argued that the tribunal had failed to deal with important economic issues regarding the affordability of Sky’s prices. A noted authority on judicial review, particularly in the commercial and regulatory spheres. She also advises regulators and corporations on non-contentious administrative and public law matters. Recent work: Represented the Secretary of State for the Department for Environment, Food and Rural Affairs in a judicial review challenge to the government’s failure to comply with EU emission limits for nitrogen dioxide in London. Typically represents claimants in challenges against legislation and decisions of public bodies up to the higher courts. He is particularly active in the areas of welfare reform and social justice. Recent work: Represented a group of claimants in a challenge to the government’s benefit cap regime, which was argued to be discriminatory against single parents and their children contrary to ECHR rights and the United Nations Convention on the Rights of the Child. Involved in significant public and administrative law challenges on behalf of both claimants and defendants. She regularly handles significant information and EU law claims. Recent work: Appeared for the government in a claim brought by major tobacco companies alleging that the introduction of standardised packaging breached their rights to property under the ECHR and the EU Charter. Capable of handling a wide range of administrative and public law matters including commercial, regulatory and human rights claims. He represents claimants and defendants in judicial reviews challenging decisions of central government, local authorities and regulators. Recent work: Represented Jewish Human Rights Watch in a challenge with regard to various local authorities’ decision to boycott produce from the West Bank and Gaza. Has considerable experience of bringing challenges against local and central government decisions. He is particularly committed to handling cases involving disabled claimants. Recent work: Successfully acted for the claimant in R (HA) v London Borough of Ealing, a case which challenged Ealing’s policy of requiring a certain period of residence before allowing applicants to go on its housing register. Committed to representing marginalised claimants in a wide range of public law matters including challenges to immigration detention and cuts to public services. He is also knowledgeable about information law and data protection. Recent work: Represented the claimants in a challenge to the Data Retention and Investigatory Powers Act 2014. The case considered whether the act breaches the EU Charter of Fundamental Rights and the ECHR. Highly knowledgeable on the overlap between public and human rights law. His expertise in cases concerning national security and foreign affairs is of particular note. He receives instructions from both claimants and defendants. Recent work: Instructed by the Secretary of State for Health to defend a major challenge by four of the world’s largest tobacco companies against the UK government’s Standardised Packaging of Tobacco Products Regulation 2015. Predominantly defends public bodies, including government departments, in judicial reviews. His broad substantive expertise includes human rights, competition and taxation. Recent work: Acted for the defendant Secretary of State for Defence in a judicial review concerning the deaths of six Royal Military Policemen in Iraq in 2003. The matter raised questions surrounding the scope of the defendant’s obligations under Article 2 to hold a full and independent investigation. Her proficiency in regulatory and competition law is reflected by her appointment as standing counsel for the CAA. She is also capable when handling aviation matters with European and public law overlap. Recent work: Advised the CAA as to the economic regulation of airport operation services in terms of the proposed new runway as part of the widely publicised expansion of Heathrow Airport. Highly regarded for his in-depth knowledge of EU law, particularly the ECHR. He advises throughout the UK and Europe on data and property protection, jurisdictional issues and extradition matters. Recent work: Represented the claimant refugee in Trushin v National Crime Agency, a challenge to the NCA’s processing of his personal data without purpose or justification. Esteemed human rights practitioner who is a familiar face in the Supreme Court. He regularly handles high-profile, sensitive cases on behalf of a diverse clientele, and offers specialist insight into matters concerning the EU Charter of Fundamental Rights. Recent work: Acted in Liberty and others v GCHQ and others. This was a challenge brought by Liberty concerning the UK intelligence services’ disproportionate use of blanket surveillance of mobile phones and emails. Respected practitioner with a broad human rights practice. He demonstrates particular insight into the rights of children, social housing law and matters concerning state retention of information. He is regularly instructed in major human rights cases at all levels of UK court. Recent work: Acted for the claimants in SSHD v Davis, a case considering whether certain state data retention powers breach the EU Charter and Convention. Monckton Chambers is praised in the market for its work in social care. Members have been involved in many significant cases, including R (HA) v London Borough of Ealing, which was an important judgment in the housing context because it successfully challenged Ealing’s policy of requiring a certain period of residence before allowing applicants to go onto their housing register under Part VI of the Housing Act 1996. Members act for a range of clients, from individuals and NGOs to private companies and public authorities. Praised for his work representing claimants, he is experienced across an array of issues. His community care work is complemented by strength in local government, human rights and administrative and public law generally. Recent work: Represented two families with severely disabled children in R(M&A) v Islington LBC. The principal issue was whether the local authority has (and is obliged on the facts of the case to exercise) the power to require the housing authority to provide accommodation which ameliorates risk to children. Recent work: Acted for the Nationwide Association of Fostering Providers in R v Bristol CC. This case concerned a complaint that local authorities are uniformly adopting a policy of placing children ‘in-house’ first. Specialist in public and human rights law. He is an expert in work that relates to vulnerable and disabled children and adults, and is very experienced in immigration matters. Recent work: Acted in R v Salford City Council, representing two vulnerable disabled adult claimants challenging a decision to stop a transport service to take them to and from community day centres. Exceptionally well regarded by instructing solicitors and peers alike, he has been acting in a wide array of the leading competition cases this year. He is expert in all aspects of competition law litigation including cartel damages, investigations and appeals. Recent work: He acted for J.P. Morgan in the EC investigation into alleged cartel behaviour surrounding credit default swaps. Has a wealth of experience of appearing before all competition tribunals and courts, and is an expert in arbitration. He has been active recently on numerous cartel damages cases for claimants and defendants, and has also been involved in investigations and abuse of dominance litigation. Recent work: Led Google’s defence against a case brought by Streetmap claiming damages for alleged abuse of dominance in relation to Google’s online search practices. Acts frequently in damages cases and judicial reviews, and has recently advised on high-profile mergers. Commentators highlight his expertise in the regulated utilities space. Recent work: He acted for Tesco in cartel damages litigation against MasterCard and Visa stemming from their charging of interchange fees. A robust and persuasive litigator who has recently acted in merger-related litigation and cartel damages actions, as well as cases at the IP and competition law interface. He is renowned for his expertise in sports law. Represents a broad range of clients from private companies to government bodies and the EC. While known for his expertise in state aid, he has been active recently in cartel appeals. Recent work: He acted for the EC in the appeals against decisions in the Lundbeck and Servier ‘pay for delay’ cases. Receives universal praise for his grasp of complex economic evidence. He has acted in numerous high-profile cases spanning the full range of competition law. Recent work: He represented Sky in Sky v Ofcom and BT, high-profile litigation surrounding access to sports rights and channels. Has experience of acting for defendants and claimants in competition damages cases. She has received notable instructions from competition regulators and has acted before both EU and UK courts. Recent work: Led the team that acted for the Competition Commission in various appeals before the CAT and the Court of Appeal against the decision it handed down in its private healthcare market investigation. 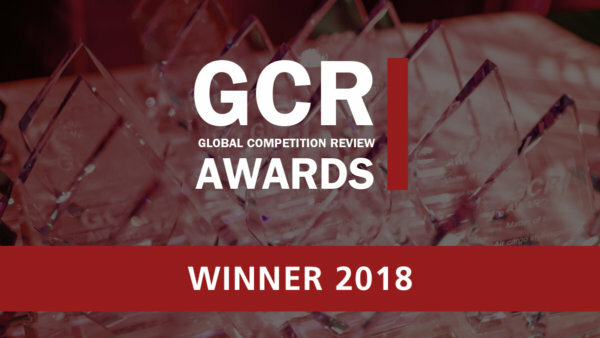 Receives universal praise from instructing solicitors and peers for his work on some of the top cases in the area of competition law. He is experienced at acting before both EU and UK courts. Recent work: Led by Jon Turner QC, he defended Google against claims for damages by Streetmap alleging an abuse of dominance by Google in relation to search results. Experienced in high-profile competition cases acting for both blue-chip corporate clients and regulators. She has recently advised on investigations and cartel damages claims. Recent work: She represented Merck in its appeal against the EC’s Lundbeck ‘pay for delay’ decision. Has a broad practice covering the full range of competition law. He has noted expertise in the telecoms sector and has recently been active in damages cases and regulatory actions. Advises both regulators and private companies on the full range of competition law cases. She has been active of late in cartel damages actions and regulatory investigations. Recent work: Led by Stephen Morris QC and Daniel Jowell QC, she acted for Visa Europe on 15 sets of proceedings brought by retailers claiming damages for Visa’s charging of interchange fees. Expert in competition law with a focus on telecoms and broadcasting-related cases. Recent work: He represented BT in BT v Ofcom, an appeal in the CAT against a decision made by Ofcom concerning wholesale charges set by BT. A former solicitor who is lauded by peers and instructing solicitors alike for his expertise in merger control. He also acts in regulatory appeals and has a strong advisory practice. Recent work: He has been instructed by Freshfields to advise on the £12.5 billion acquisition of EE by BT. Acts in a wide range of competition cases relating to cartel damages, merger control and investigations. He is a former legal secretary to the CAT. Recent work: He acted for the CMA on its appeal to the Supreme Court in the Groupe Eurotunnel v CMA matter concerning the scope of the CMA’s merger review jurisdiction. Has recently been appointed as Standing Counsel to the CMA. He has been instructed recently in major merger cases, investigations and damages litigation. Strengths: “He is a first-class competition law junior who is good at drafting, very user-friendly and good with clients. Recent work: He acted for the CMA on two challenges brought by Ryanair against a CMA decision ordering Ryanair to reduce its shareholding in Aer Lingus from 29% to 5%. Receives praise for his work on regulatory challenges, acting for both regulators as well as private companies. He has notable expertise before EU and UK courts. He is also lauded for his state aid expertise. Recent work: He acted unled for Whistl in proceedings challenging the Royal Mail’s introduction of a new pricing system. A former magic circle solicitor who is highly esteemed for her expertise in merger control. She has been active of late in a number investigations. Recent work: Led by Daniel Beard QC, she acted for the CMA against Ryanair, defending its decision to force Ryanair to sell its stake in Aer Lingus. Acts on numerous private damages actions, most frequently for claimants but also for defendants. She is often instructed by private companies and utilities regulators. Recent work: Led by Paul Harris QC, she has acted for Emerald Supplies on Emerald Supplies v British Airways, damages litigation stemming from the EC’s air cargo cartel decision. A highly valued junior who has notable expertise of representing claimants in competition damages claims. She receives praise from instructing solicitors for her work ethic and availability. Recent work: She acted for Microsoft Mobile on its standalone claim against Sony Europe and others for damages as a result of alleged overcharging in the batteries market. Acclaimed by sources for his expertise in telecoms mandates, he frequently acts on price regulation cases. He is also experienced in private damages actions. Recent work: He represented the Secretary of State for Health and Others v Servier in a claim for damages arising from ‘pay for delay’ agreements. Up-and-coming junior with a broad European law practice and notable expertise in competition cases. She has recently acted on damages actions and merger cases. Recent work: Led by Daniel Beard QC, she acted for Scottish Power in Scottish Power v ABB, a multimillion-pound cartel damages claim stemming from the power cables cartel. Monckton Chambers Experienced silk with a widely admired procurement and construction practice. His specialist work on EU procurement rules has drawn particular praise from industry sources. Monckton offers an exceptionally accomplished roster of silks and juniors who are highly experienced in handling matters in the realms of European law, telecommunications and competition law. The work of the set in information law often arises in conjunction with one or more of these areas, and the barristers have further expertise in cases addressing the application of the Environmental Information Regulations. Members of Monckton are comfortable representing public bodies, individuals, corporations as well as the Information Commissioner in data protection proceedings in a variety of fora. Client service: “Queries are dealt with promptly and professionally and the advice provided is very good.” David Hockney is the senior clerk at the set. Takes silk this year on the back of a highly successful junior career, in which he gained significant expertise in a wide range of practice areas. His work in this area spans the full range of information law, and has a particular focus on cases with a public or EU law angle. Recent work: Represented charity Reprieve on behalf of two Burmese migrants sentenced to death in Thailand for the murder of two backpackers. This was a High Court case seeking to compel the release of data relating to the two men that was held by the Metropolitan Police. Experienced junior with a long track record of appearing successfully on behalf of the Information Commissioner in both tiers of the Tribunal. She has recently argued cases dealing with issues arising from the application of FOIA, the DPA and the EIR. Recent work: Acted for the Information Commissioner in a case seeking the release of information concerning the contract under which West Ham United became the new ‘anchor tenant’ at the Olympic Stadium. Acts for a range of clients, including public bodies, the Information Commissioner and private individuals and companies. He has further expertise in relation to telecommunications and competition law matters. Enters the numerical rankings this year amid growing appreciation from peers and clients alike for her adept handling of a range of cases in information law. She has further expertise in relation to competition and public law matters. Recent work: Appeared on behalf of Rights Watch UK in a case seeking the publication of the advice of the Attorney General concerning the legality of lethal drone strikes in Raqqah, Syria. Has an active appellate practice and handles a wide range of important education, public law and human rights matters. He is routinely instructed by national charities and has strong knowledge of equality law. Recent work: Advised in R (Messenger Jones & Bell) v Secretary of State for Business, Innovation and Skills, a matter relating to the government’s provision of Disabled Students Allowance. A notable public law junior who acts for a number of prominent clients in the education sector. Much of his work is concerned with the educational needs of disabled children and those with SEN, as well as young people with learning difficulties and/or disabilities. Recent work: Instructed in JH v Cheshire West and Chester Council, an application to appeal a decision to not provide an EHC Plan to a child with complex needs. Widely recognised for its exceptional EU law practice, this set offers strong expertise in international cases concerning energy conservation, emissions trading and access to environmental information. It also advises on a wide range of domestic environmental matters including those concerning contaminated land, agriculture and permitting. Client service: “The set exudes a very easy, down-to-earth style, and the clerks are absolutely super and extremely user-friendly.” David Hockney leads the clerking team. Has an extremely strong reputation for his work on behalf of NGOs, action groups and commercial clients. He is an expert on issues such as pollution control and the protection of natural habitats. Recent work: Acted on behalf of an electrical waste recycling group on a claim against several electrical lamp producers. The case concerned alleged breaches of the EU WEEE electrical waste regulations. Advises on cases involving numerous private parties and NGOs as well as on environmental issues concerning UK government departments and the application of EU regulations. Recent work: Acted for the Secretary of State for Environment, Food and Rural Affairs in a judicial review challenge relating to the government’s failure to comply with EU emission limits of nitrogen dioxide in London. Recognised as an expert junior for cases relating to the EU regulation of, and access to, environmental information. He often acts for NGOs and campaigning groups. Recent work: Represented the Environment Agency in the first applications for commercial ‘fracking’ licences. Client service: “The clerks are very proactive and sensible on fees.” Senior clerk David Hockney heads the clerking team. Excellent EU law advocate with experience of handling the full range of EU law mandates. He has recently been active in free movement, discrimination and EU sanctions cases. Recent work: He acted for the Icelandic Deposit Guarantee Scheme against the UK and Dutch governments before the European Free Trade Association court. This was a matter following on from the famous ‘Icesave’ case in 2013 which decided that the Icelandic state was not liable for deposits in failed banks. Has vast experience of handling European law cases. His practice covers competition and regulatory matters, and he is particularly renowned for his work in telecoms litigation. Recent work: Acted in a major EU constitutional case before the CJEU looking at whether the EU could sign up to the ECHR. He represented the UK. EU law expert with specific expertise in public procurement and VAT. He has been active of late on various Francovich damages claims. Recent work: He represented the UK government in a £415 million Francovich damages case arising from the licensing obligation for GSM Gateways. Specialist in non-competition EU law, noted for his expertise in cases concerning free movement, labour law, public health regulation and fundamental rights. He has recently been instructed in tobacco-related cases. Recent work: He acted for the UK on a challenge to the validity of the Revised Tobacco Products Directive before the CJEU. Has a broad EU law practice that covers areas as diverse as environmental, discrimination and competition law. She is a sought-after counsel for NGOs, government departments and private companies. Recent work: She represented Defra in a judicial review brought by ClientEarth concerning the government’s failure to comply with EU nitrogen dioxide emission limits in London. Boasts expertise in a wide range of EU law subjects from environmental law to criminal justice. He is best known for his competition law expertise and is experienced in acting before both UK and European courts. Recent work: He acted in a judicial review challenge by the European Low Fares Airline Association against the EU carbon trading regime. Frequently instructed by the UK government, he is experienced in international relations, citizenship and environmental issues. He acts regularly before the UK and EU courts. Recent work: He acted on a challenge to the UK’s protection of pensioners who are former employees of companies that become insolvent. Josh Holmes Particularly well-regarded junior, who worked as a referendaire to the CJEU. He has a broad EU law practice and has recently been active handling cases concerning public law, criminal justice and financial regulation. Recent work: He represented the UK government in a challenge to the lawfulness of rules permitting the export of data by companies from the EU to the USA. Recent work: Acted in W (Algeria) & Others v SSHD, a matter regarding the government’s ‘Deportation with Assurances’ programme. Well versed in complex local authority disputes, including matters relating to the duty to support children and families in need. He regularly acts for claimants and has deep knowledge of social care law. Recent work: Advised in Robson and Barrett v Salford City Council, a case brought by two severely disabled adults challenging the council’s decision to halt provision of a direct transport service for disabled people to get to day centres and respite care. Client service: “This is an incredibly professional and slick outfit, and it is always reassuring to speak to one of the clerks there.” “The clerks are very responsive and personable” and “easy, relaxed and friendly.” David Hockney leads the clerking team. A venerable silk with roots in the origins of procurement legislation itself. Having been at the forefront of this area from its inception, he is an advocate revered by both claimants and defendants faced with high-value and important procurement challenges. Recent work: Represented Associated British Ports in its legal challenge against the decision by the Ministry of Defence to award Solent Gateway a contract to run Marchwood Military Port. Highly regarded for his expertise in procurement, commercial agent cases and EU law. A significant portion of his work arises from instructions received from the government. Recent work: Advised Deutsche Flugsicherung following a challenge to its successful bid to take on Gatwick Airport’s air traffic control contract. A highly respected junior who handles procurement cases as part of her wider European law practice. She is regularly instructed by top law firms and the government. Recent work: Acted for the Cabinet Office in defeating a challenge regarding a framework agreement for locum doctor services. Previously a civil servant in the Department for Transport, this well-respected barrister has a public procurement practice that covers transport, utilities and health. He has worked on many significant and high-profile challenges. Recent work: Acted for Blue Water Recoveries as the claimant in a case concerning the validity of an already passed procurement. The successful tenderer had amended its tender after submission. A go-to barrister for both public sector and utilities work, who has been instructed in a number of leading procurement cases. Recent work: Acted on behalf of the Home Office in the high-profile case of Airways Solutions Limited v Secretary of State for the Home Department. Recent work: Acted for the defendants in the ground-breaking case of EdenRed (UK Group) Limited v Her Majesty’s Treasury & Others. Recent work: Acted as sole counsel for Milton Keynes Council in a challenge to the awarding of an asbestos removal contract. An able barrister with a far-reaching client list. As well as having a flourishing practice, she also contributes pieces on public procurement to various law publications. Recent work: Acted on behalf of non-profit Counted4 in a challenge to a procurement process undertaken by Sunderland City Council for the provision of a substance misuse service. 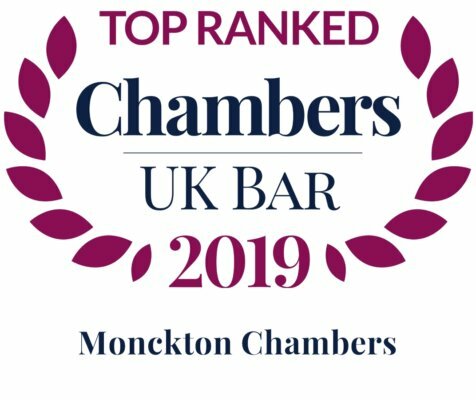 Monckton Chambers is a go-to set for clients with sports issues, especially those involving questions of commercial and competition law. Its members frequently appear in CAS proceedings, the FIFA Dispute Resolution Chamber and FA arbitrations and disciplinary hearings. They are instructed by governing bodies, clubs and athletes on matters in a broad range of sports. Renowned for his excellent knowledge of regulatory frameworks and the broader sporting environment, as well as his robust advocacy style. He is frequently instructed in sports matters involving competition law aspects. Emerging junior who receives instructions across a variety of sports including football, rugby, motor racing and cycling. A market-leading set, Monckton Chambers possesses a sizeable team of dedicated specialists with deep expertise in all areas of indirect tax. 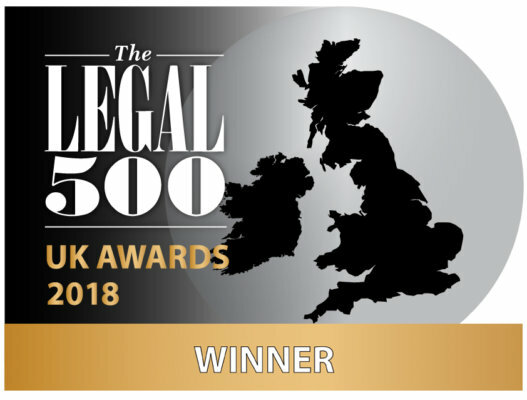 With an unrivalled breadth of talented silks and juniors, it continues to impress in the market with its expertise in the areas of VAT, EU law and customs and excise duties law. Members are experienced in their representation of both the taxpayer and the Revenue, and regularly appear in courts from the First-tier Tribunal to the Supreme Court. A “real player” in the field of indirect tax, she is well known for her expertise in VAT matters in particular. She regularly takes substantial and high-value instructions from HMRC and from taxpayers. She is praised by market observers for her impressive ability as a litigator and her client-handling skills. Recent work: Represented The Wellcome Trust in the first case of its kind, questioning whether charities should be permitted input tax deductions on buildings they utilise for charitable purposes. Highly respected for his expertise in EU-related tax matters in the areas of both VAT and customs, and regularly appears before the ECJ. He is trusted with sophisticated and substantial instructions from HMRC and high-profile corporations. He also has long-standing experience of handling MTIC fraud cases. Recent work: Represented HMRC before the ECJ, which led to the extension of the Kittel test for MTIC VAT fraud to other areas of tax fraud. Well known for his VAT practice in particular. He is often trusted by HMRC with the most complex and challenging of VAT cases, and has a wealth of experience of appearing before the Supreme Court and the ECJ. Recent work: Represented HMRC in Rio Tinto v HMRC, which is the leading case on the use of ‘price adjustments’ to claim refunds on VAT. Recent work: Represented HMRC in a test case as to whether taxpayers have an EU law right to recover compound interest on overpaid VAT. (Band 1)A leading junior who is considered to be “an extraordinary VAT specialist” by market commentators. She specialises in representing taxpayers while simultaneously holding a position on the Treasury A-Panel. She regularly appears before the Supreme Court, the Court of Appeal and the ECJ. She is further praised by instructing solicitors for the clarity and practicality of her advice on indirect tax matters. Recent work: Represented Pendragon in a test case before the Supreme Court regarding when the principle of abuse can be used to challenge tax avoidance schemes. An indirect tax specialist who is singled out for his vast experience of representing clients before the ECJ. He is particularly well known for his command of complex VAT matters. Recent work: Represented HMRC in a case before the Court of Appeal which considered whether a provider of business education within a higher education institution should benefit from the exemption of VAT. Can call upon broad indirect tax expertise spanning VAT, excise duties and customs duties, among other matters. He continues to act regularly for HMRC, handling complex and high-profile test cases particularly in the field of VAT. Recent work: Representing HMRC in Littlewoods Retail and Others v HMRC, relating to the issue of compound interest on overpaid VAT. This dynamic set is lauded for its impressive track record in prominent cases in the telecoms sector. A first choice for many blue-chip operators in the telecoms space, Monckton Chambers bolsters its offering with a wealth of experience in the EU and competition sphere. Significant cases for the set of late have included Telefónica O2 and Others v BT in the 08 numbers appeals, and TalkTalk and BT v Ofcom, which related to VULA appeals. Client service: “The clerks are always very good there, which takes a lot of the pain out of matters.” David Hockney leads the team. A leading market authority on competition law who brings his expertise to bear in telecoms cases for both public and private entities. Solicitors extol his ability to distil complex technical telecoms issues into clear, persuasive arguments. Recent work: Represented the Home Secretary in a claim by telecoms companies that the government had mis-implemented EU law. Multi-talented silk endorsed as a counsel of choice for high-end mobile operators faced with telecoms regulatory litigation. Sources enthuse about his top-notch client skills. Recent work: Instructed by Samsung in patent infringement litigation concerning mobile phone technology. Counsel of choice for a variety of mobile and fixed-line telecoms operators. He draws upon his expertise in EU and public law to provide a comprehensive assessment of telecoms matters for clients. Recent work: Represented Telefónica O2 as lead counsel in BT v Ofcom, a case regarding non-geographic number charges. Recent work: Acted for Huawei in Unwired Planet v Huawei Technologies, Samsung Electronics and Google. The dispute concerned an abuse of dominance claim in relation to standard essential patents. Wins plaudits for his user-friendly approach and impressive advocacy skills. Solicitors consider his background in economics to be a key advantage when he provides telecoms regulatory advice. Recent work: Acted for Samsung in Unwired Planet v Samsung and Huawei, a case relating to FRAND issues. New silk highlighted for his strong track record in the Phonepay Plus litigation. Aside from telecoms expertise, he is adept at both data protection and environment law. Recent work: Acted for Optimus Mobile and Oranduu in a judicial review challenge to the regulatory framework used by Phonepay Plus. An attractive choice for both regulators and operators in the telecoms sector. He boasts a standout reputation in competition law and has experience of acting for major players at a national and international level. Recent work: Instructed by Ofcom in a case against BT pertaining to charges for superfast broadband products. Recent work: Acted for EE, Vodafone and O2 in CAT appeals in relation to BT’s non-geographic number charges. Telecoms regulation remains a key area of expertise for a lawyer who also has strong suits in public law generally and utilities regulation in particular. Solicitors point to level-headedness and attention to detail as being his key attributes. Recent work: Acted for Sky in a dispute with Ofcom pertaining to BT’s duty to supply competitors with wholesale access to broadband for retail customers. Recent work: Advised BT on its response to OFCOM’s discussion document on digital communications. Recent work: Represented BT in a dispute with Ofcom over the decision to limit charges for the provision of number portability services to other providers. Offers expertise across a whole gamut of regulatory, commercial and contractual telecoms issues. He is noted particularly for his work for major operators before the CAT. Recent work: Represented Naka AG in a commercial dispute with Cloud 9 Mobile Communications pertaining to the sale of airtime for mobile phone calls.